Wow a double rainbow…. Just happened upon it on route the the shop in the rain. Turned round and there it was, bright as you like!!! 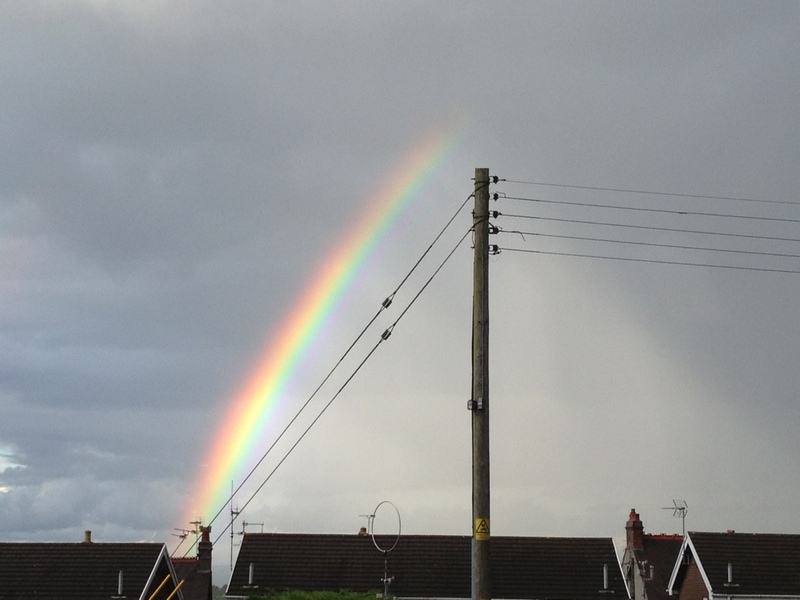 This entry was posted in Inspiration and tagged Double rainbow photograph. Bookmark the permalink.